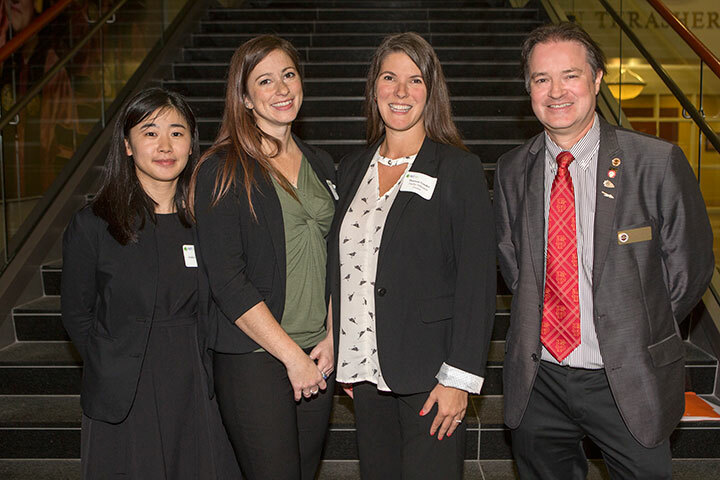 An education doctoral student took home the first-place prize for the Three Minute Thesis competition at Florida State University, Wednesday, Nov. 29. 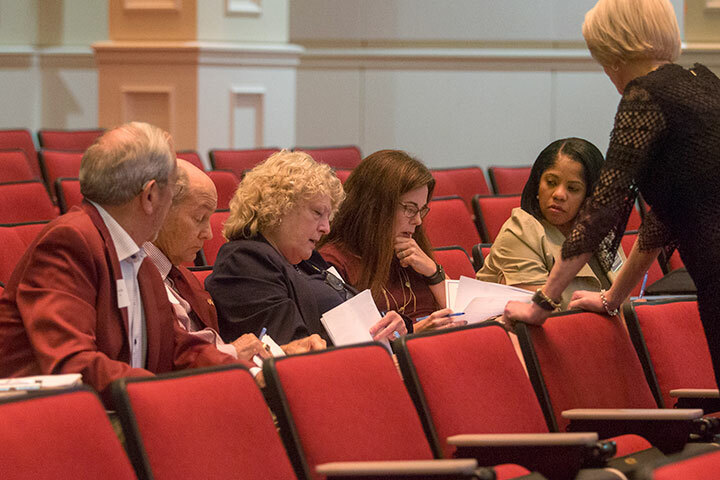 Shannon Gooden, a doctoral student in FSU’s School of Teacher Education, won the $1,000 prize and the opportunity to represent Florida State at a regional competition in February. 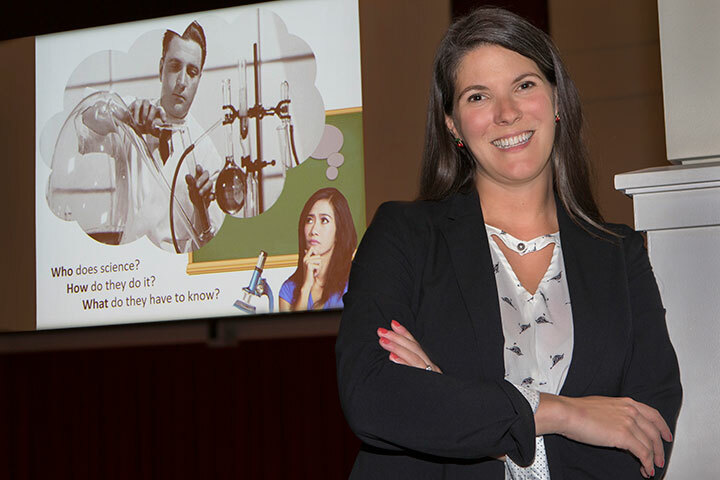 Florida State doctoral student Shannon Gooden is the winner of the university’s 2017 Three Minute Thesis (3MT) competition. 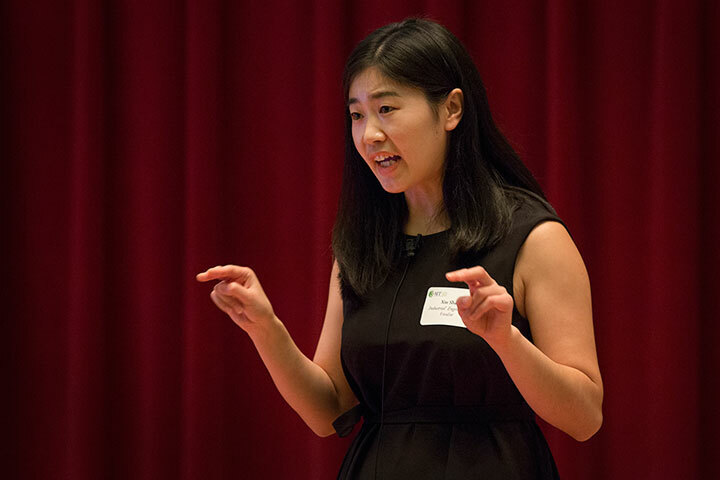 The Three Minute Thesis competition, which began at the University of Queensland in Australia in 2008, charges graduate students to explain their thesis work in a compelling three-minute speech. The goal is for participants to effectively explain their research, which at times can be very complex, in plain language to a nonspecialist audience. 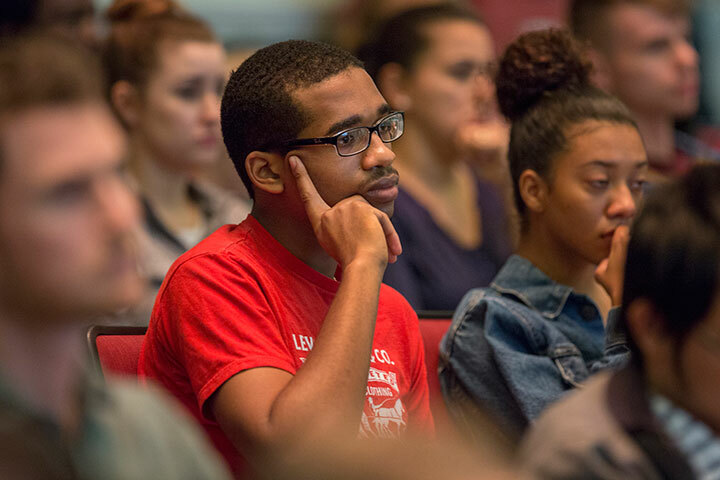 Gooden’s prize-winning presentation, “Understanding the culture of science through a research experience for teachers program,” highlighted the takeaways of 10 K-12 teachers who recently participated in the Research Experiences for Teachers (RET) program. In the program, teachers work side by side with scientists at the Florida State University-headquartered National High Magnetic Field Laboratory. Gooden has worked with the RET program for the past four years. As she got to know the program directors and staff involved with educational outreach at the MagLab, she became interested in how scientists are viewed. College of Education Dean Marcy Driscoll attended the event and congratulated Gooden on her win. 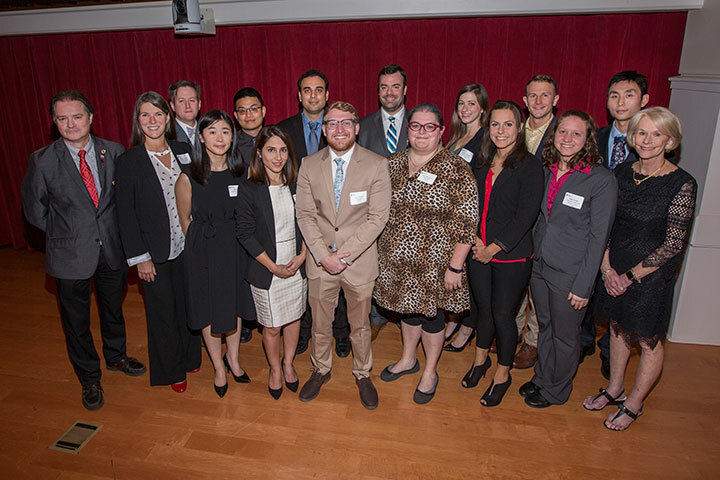 Florida State’s 2017 Three Minute Thesis competition attracted 32 participants. A team of judges watched the presentations and selected 14 finalists. 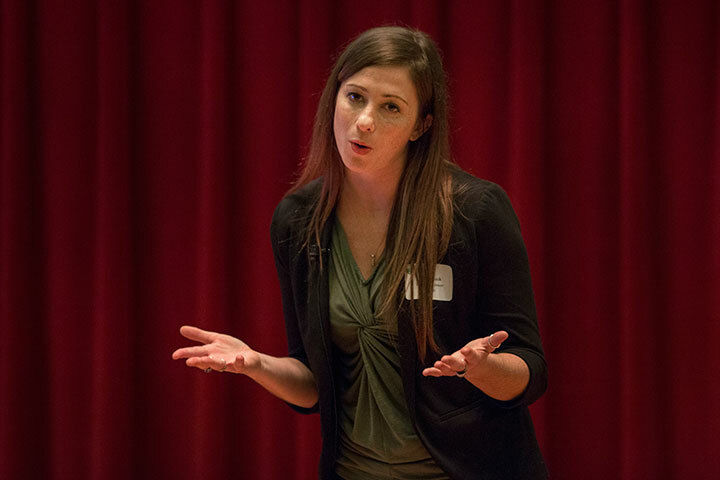 Jessica Cusick, a Ph.D. student in the department of biological sciences, won second place for her presentation on individual variation in cooperative behavior. She received a $750 prize. Xin Shan of the industrial and manufacturing engineering department earned $500 for the “People’s Choice” award. Her research focused on using LED bandages for phototherapy. Jessica Cusick, a Ph.D. student in the department of biological sciences. A team of judges watched the presentations and selected the winner and runner up. Xin Shan of the industrial and manufacturing engineering department earned $500 for the “People’s Choice” award. 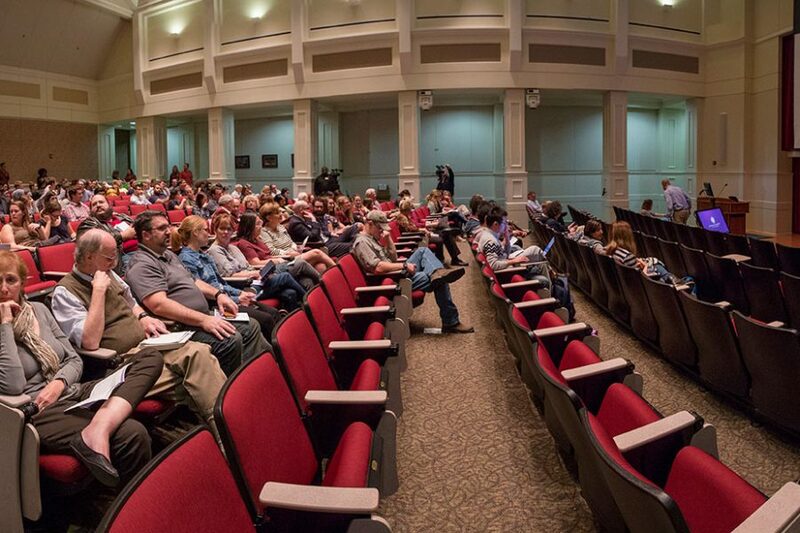 Florida State’s 2017 Three Minute Thesis competition had 14 finalists. 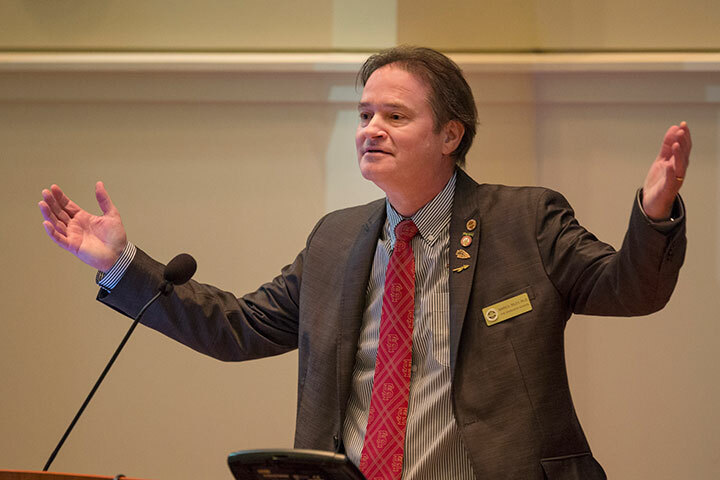 Mark Riley, interim dean of The Graduate School, served as master of ceremonies. 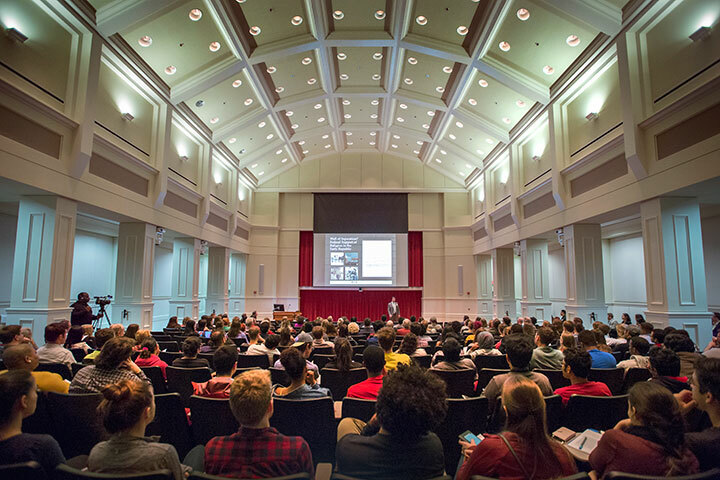 The 2017 Three Minute Thesis competition at Florida State University was held in the Durell Peadean Auditorium in the College of Medicine.